A traffic officer directing vehicles on the busy streets of Charlotte, North Carolina, during the Democratic National Convention, decides to entertain drivers and pedestrians with his dance moves. 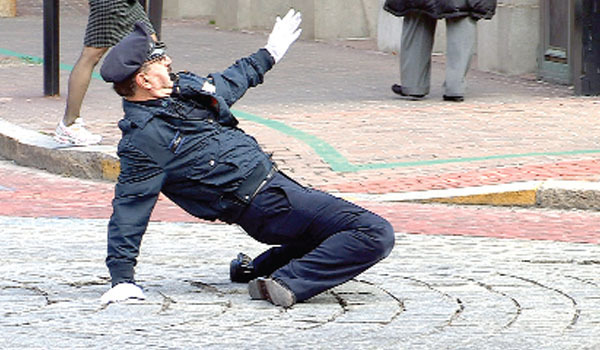 The traffic officer was seen treating drivers to some of his favorite dance moves in Charlotte, North Carolina, on the congested streets around the Democratic National Convention (DNC). The policeman was reportedly part of a group of SWAT officers from the Clayton County Sheriff’s Office who were appointed as temporary traffic marshals, specifically for the DNC. Several of his colleagues also entertained the crowds with their dance moves at other intersections, according to local Charlotte news reports.